A lot of our crafts and doll scenes are done by me, Big Mrs. so I thought I might leave a little room in there for the Little Miss to display some of her creations too. 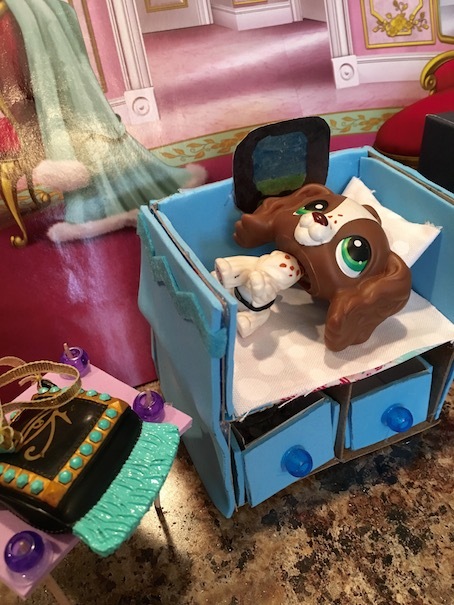 Today, she would like to show you her Littlest Pet Shop bedroom that she created out of craft foam and cardboard, along with a whole lot of imagination! 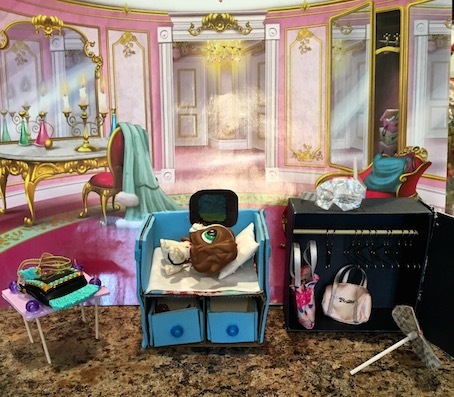 This Littlest Pet Shop bedroom comes equipped with a lovely blue bed with trundle drawers, a unique purple night table, and a closet with tons of hangers to spare. 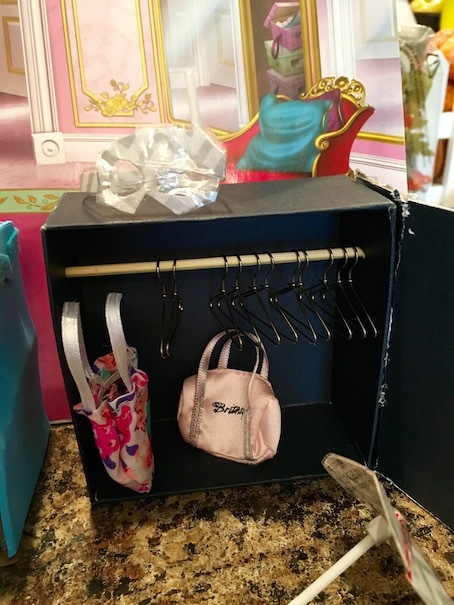 Although she has yet to fill it with all the latest fashions, this little closet is fit for a princess. I hope you enjoyed this segment of Creations with Little Miss!! We often enjoy using these little pets for the mini dolls. Do you have any Littlest Pet Shops? < Previous DIY AT THE PET WASH! We find a lot of our LPS crafts at Binky Bee Toys on YouTube. Also, to make the trundle bed, check out Pipe Cleaner Crafts I hope this helps! So do we!! We especially love crafting for them. It’s way easier to craft for LPS and for the mini dolls than it is for the 18 inch dolls! And of course, everything miniature is so cute!! I love littlest pet shops!